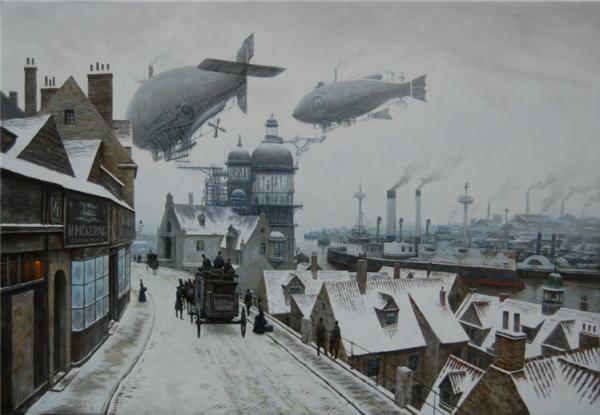 Steampunk as a sub-genre of science fiction that glorifies steam and its possible applications to modern-day technology had electricity not been discovered. 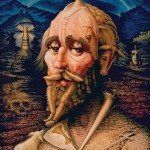 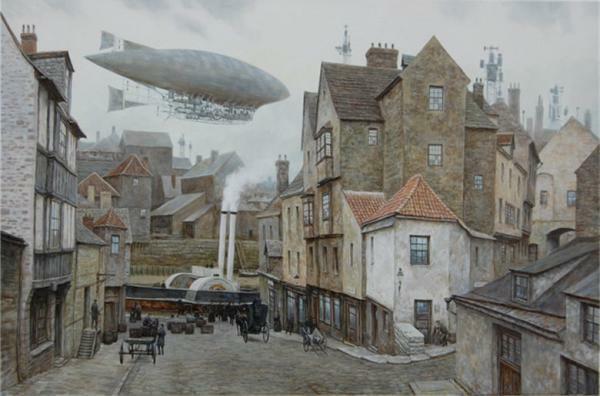 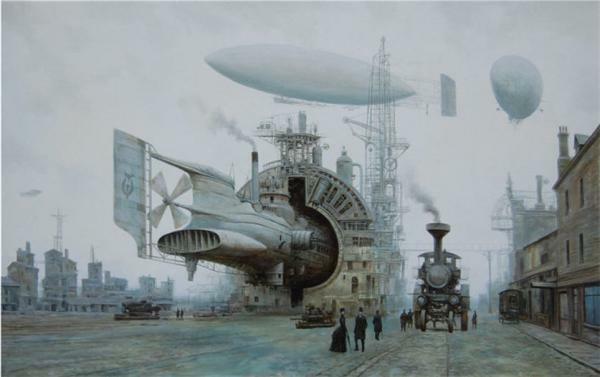 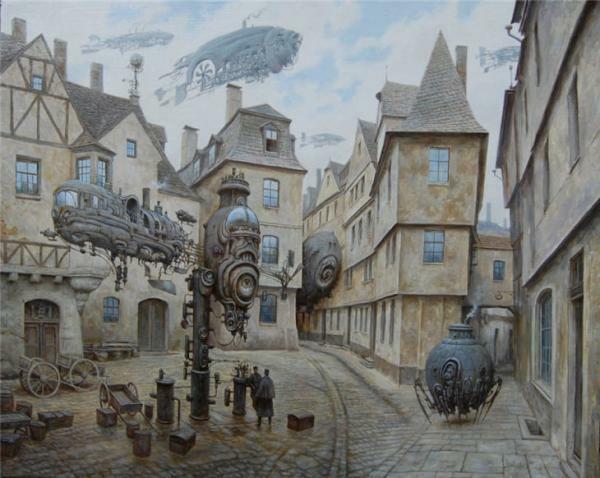 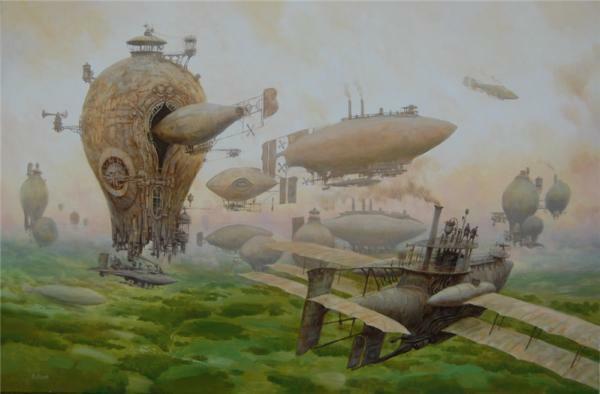 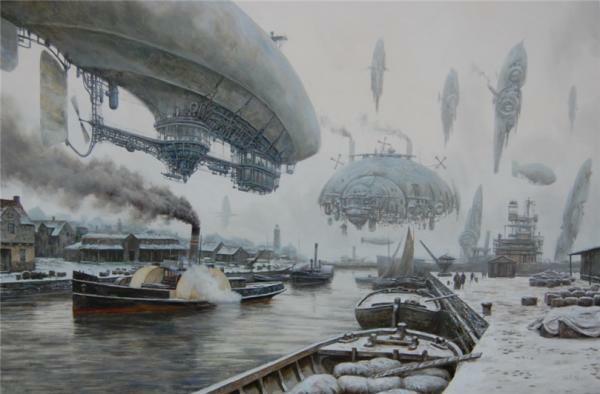 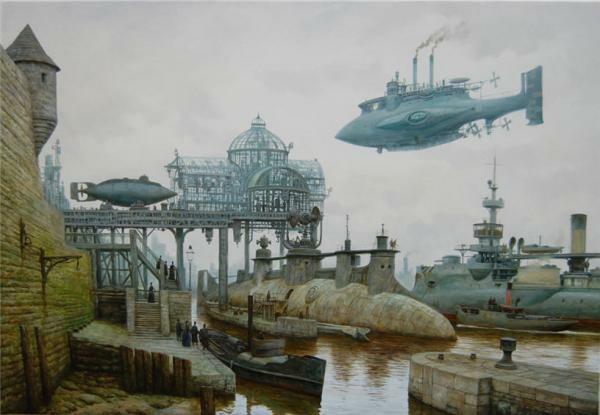 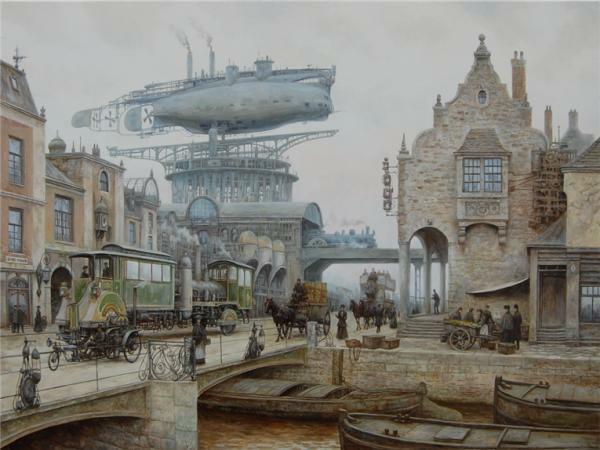 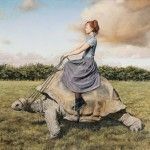 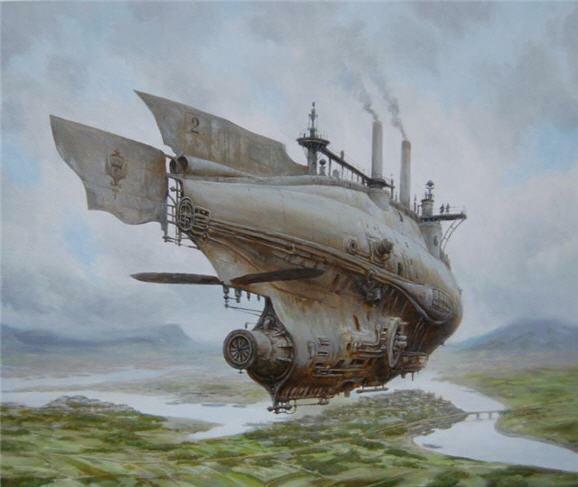 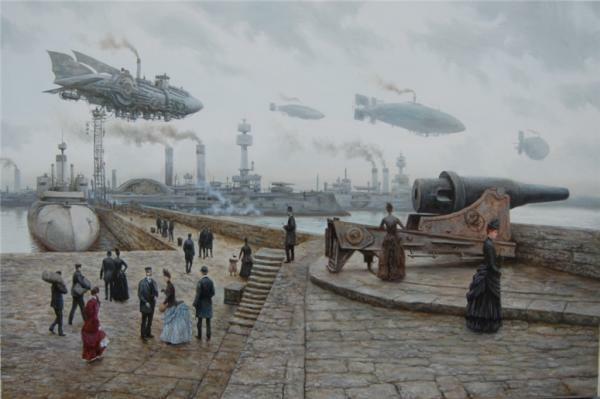 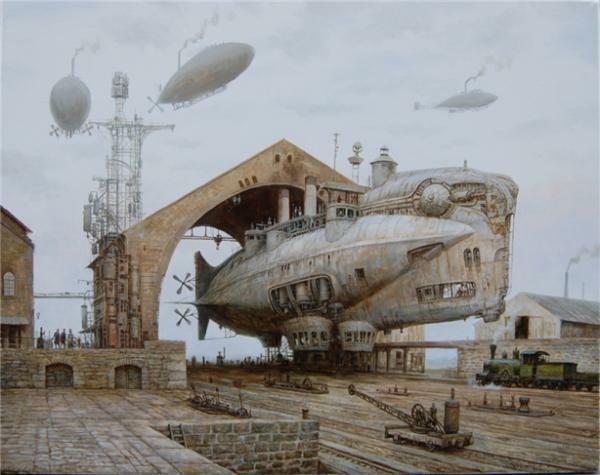 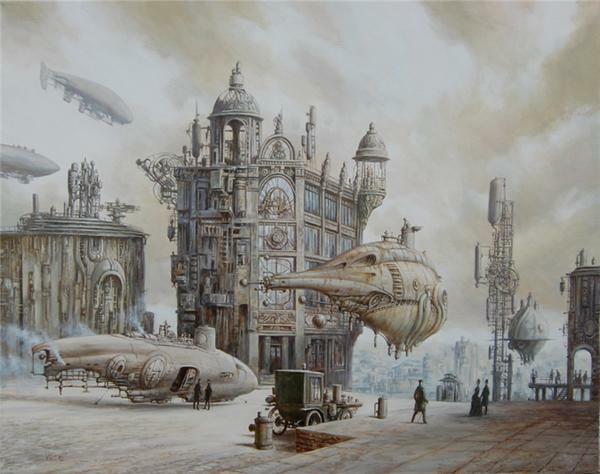 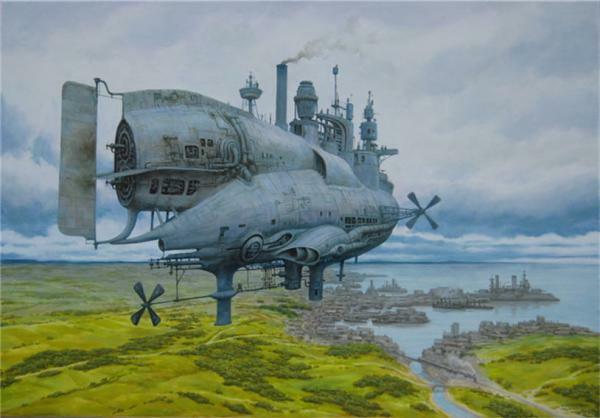 German painter Vadim Voitekhovitch;s work is saturated with poignantly anachronistic images of steam-powered dirigibles set in the Victorian era. 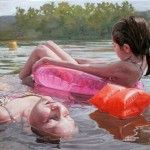 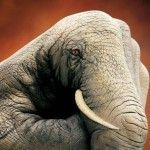 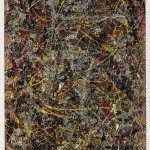 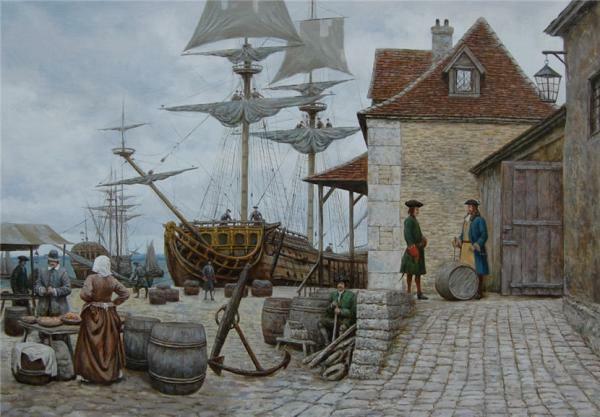 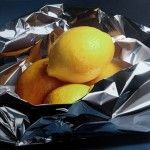 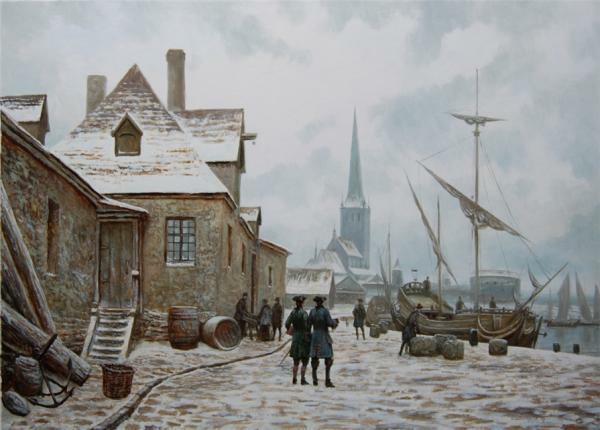 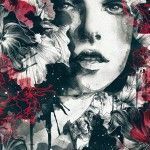 Realistically drawn, future generations just might think his paintings are historically accurate.